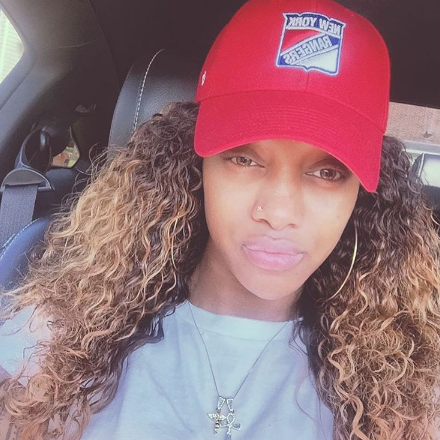 Tami Roman’s daughter, Jazz Anderson is an aspiring recording artist that is very talented. Similar to her mother, she has a beautiful spirit and a great personality. We all know that Tami doesn’t play, but that’s especially true when it comes to her children. Tami asked DJ Duffey to work with Jazz on her music video and things didn’t go as planned. From the start, Tami questioned Duffey’s dedication and called her out on multiple occasions. Gossip On This reports that episode 9 of Basketball Wives LA‘s fifth season featured Jackie Christie’s usual drama, but the episode ended with Tami firing Duffey. The two ladies ended up face-to-face and Tami pushed Duffey multiple times. She is the daughter of former NBA superstar, Kenny Anderson. Similar to her father, she can hoop! She played college basketball at Prairie View A&M University. Her mother has appeared on numerous reality shows and Jazz is doing the same. In addition to Basketball Wives LA she has appeared on Celebrity Wife Swap and David Tutera: Unveiled.